High blood pressure among Americans is increasing at an alarming rate and putting them into the high-risk category for heart attacks and strokes. Currently, estimates by the American Heart Association (AHA) indicate that more than 103 million Americans adults have high blood pressure. This is nearly half of all adult Americans. 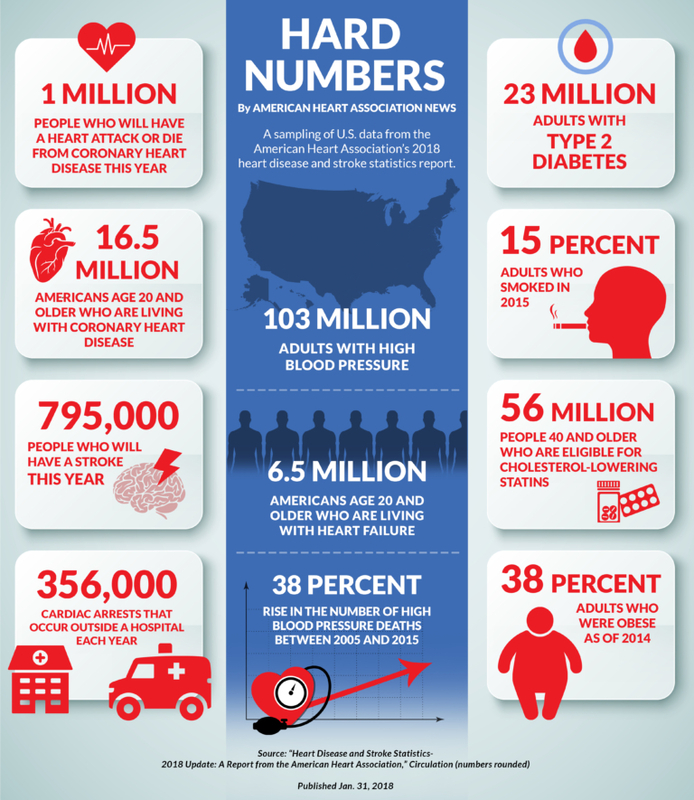 The AHA estimates that with the growing aging population and increased life expectancy, more Americans will develop high blood pressure. The death rate increased 11 percent in the United States between 2005 and 2015. And the number of deaths rose by almost 38 percent. Worldwide, nearly a third of the adult population has hypertension and this is the most common cause of cardiovascular disease-related deaths. In November 2017, the AHA revised their guidelines in an effort to motivate Americans to protect their health. 130 over 80 is now the new cut off, whereas previously, it was 140 over 90. Indeed, with the new blood pressure guidelines, more people are working to reduce their risk. There are several things you can do to maintain a healthy blood pressure. Some are easy, others demand will power. However, the devastating effects of high blood pressure don’t hit you all of a sudden, they creep up on you, slowly. So, be proactive, don’t fall asleep. Exercise at least three times a week for 30 minutes each session. You don’t need to do anything extravagant; walking or swimming, if you have easy access to a pool, is great. Cardio exercise is great for your entire body, and will also elevate your mood and sharpen your memory. Cut down on sugar, sodium, and saturated fats. Keep your alcohol content down to 1 drink a day. Laugh a lot. Laughter dilates blood vessels by 22 percent, according to a study from the University of Maryland. Blood flow increases and thereby reduces blood pressure.